MSE Creative Consulting Blog: Three Perfect Days, Wichita. Day Two. Day One is here. Day Two needs to be any day of the week but Sunday. Have the Marriott pack some snacks for you and the kids, you are going to spend the day in the car touring the Flint Hills, my favorite part of Kansas. You are going to head east of El Dorado on U.S. 54 up Kansas Highway 177. You'll pass El Dorado Lake, keep going for now. Just north of the Lake you'll intercept the BNSF Railway's "Transcon" line from Chicago to Los Angeles. It is a great place to watch trains or even pace them in your car as the tracks are right next to 177 in places. 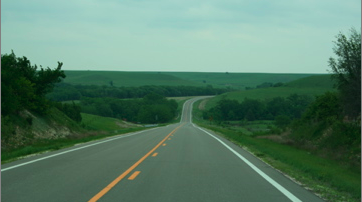 Your destination is the Tallgrass Prairie National Park just north of Strong City on 177. You can watch the National Park Service's presentation about the Tallgrass Prairie in the giant barn and/or hike the trails and visit both the mansion and the one room schoolhouse, both preserved and furnished as they were when they were in use. After spending the morning at the Park, it is time for lunch and you are in for a special treat. Double back south down K-177 into Cottonwood Falls and stop at the -- Four Diamond! -- Grand Central Hotel and Cafe. Owner Suzan Barnes will take great care of you. Their rice & beans is to die for and they go perfectly with a hamburger. Kansas is the #1 beef producing state and you can tell the difference in taste. Before getting back in the car, shop for authentic western wear at Jim Bell & Son then cross the street and view the original art, photography and furnishings at The Gallery at Cottonwood Falls. The Flint Hills are a magical area with a wide open beauty difficult to capture with a camera. You are going to see it for yourself as you continue north on 177 to Alta Vista where you turn east on K-4 (danger, if you or your kids get carsick, stay on 177 to Manhattan, it is still a very pretty drive). Going east on K-4 which then turns north to K-99, you will not only see the gorgeous green hills you will see miles and miles of restored stone fences and you'll be glad you didn't have to build them. 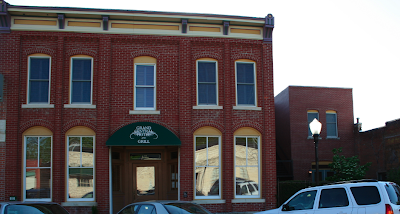 In Alma, stop at the creamery and try their outstanding cheese. Continue north on 99 to Wamego, then turn west on U.S. 24 to the home of Kansas State University, the Little Apple, Manhattan, Kansas. 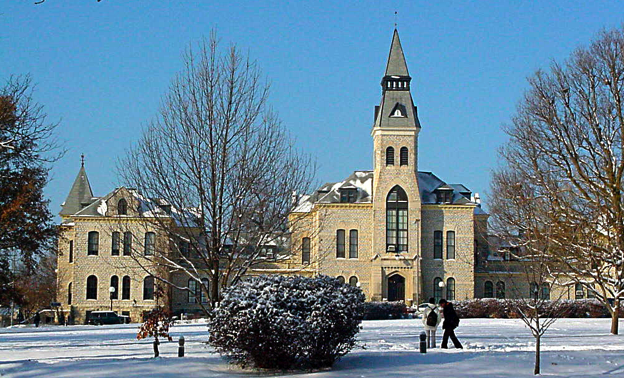 The campus is well worth a visit for its native limestone buildings. By now, it should be time for dinner and you are in for another treat: Harry's Uptown in Manhattan. After lunch at Grand Central Cafe and dinner at Harry's you'll say to yourself, "I never knew they had restaurants like this in Kansas!" Now, you are going to make your way back to Wichita by going south on K-177. Stop and watch the sunset as it sinks below the hills or behind El Dorado Lake. It is fine to get off the main roads unless it has been wet in which case you don't want to try it without four wheel drive. Get a good night's sleep. Lots to see tomorrow in Day 3.